When I had Leo I made a pact with myself. I wanted Leo to be at school or heading off to school before any more babies were to come into the picture. I had a number of different reasons for wanting such a substantial age gap, and those reasons are as true today as they were then. For me I wanted to be able to give any future babies, exactly the same one on one attention that Leo received, I wanted to be able to go along and do baby massage or the baby groups, all things that I wouldn't be able to do if I had a toddler in tow. One of my reasons was that I didn't want to run about after two little one's at the same time, and I most certainly did not want a double pushchair, but in terms of the double pushchair my view was un-founded. I just hadn't met iCandy yet! When you think of a double pushchair, you think of a big bulky side by side that probably wont get you through most front doors, it will be heavy and cumbersome. Wrong! 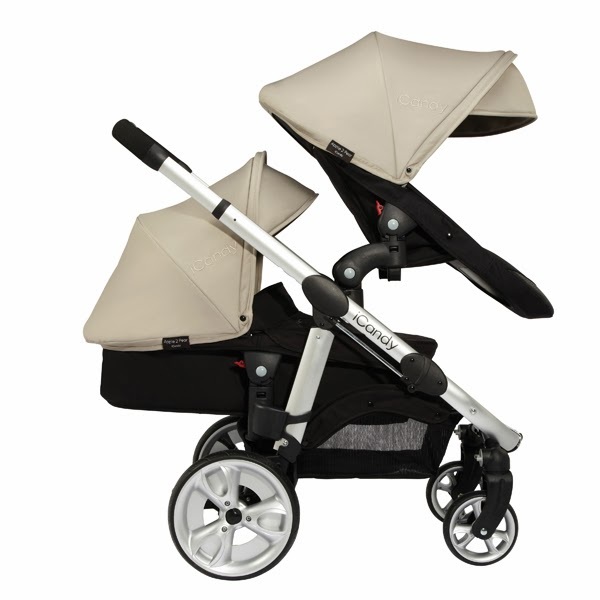 Back in 2007, following over 70 years of British research and design, iCandy launched the world’s very first modular system that could convert a one-seater into a two-seater pushchair and vice versa, all for the first time within a single footprint. With various manufacturers creating the typical single and large side-to-side doubles, iCandy was determined to create the ultimate pushchair for on-the go, growing families. The Apple broke these boundaries as the designers at iCandy World created a pushchair which attained the size of a single with the attributes of a double. iCandy’s innovation informed the creation of our iCandy Apple Pear collection which has now been superseded by our latest development, the new iCandy Apple 2 Pear. 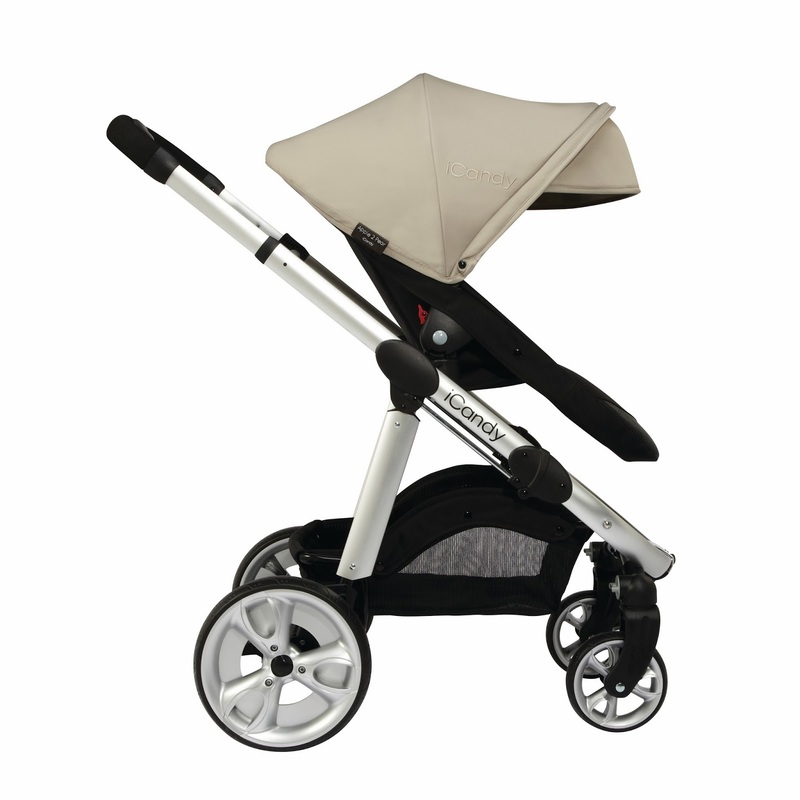 Now in its second generation, iCandy have taken the widely acclaimed Apple 2 Pear and added further improved modifications. The Apple 2 Pear pushchair is now 40% lighter than the original Apple with no compromise to the functionality of the product. The shopping basket is 11% larger and the Apple 2 Pear chassis features the durable, no puncture EVA tyres. One of the main benefits of the new Apple 2 Pear is the ability to fold without having to remove the seat unit in single and double mode. Perfect for the growing family, the iCandy Apple 2 pushchair has been designed to upgrade to the Pear 2 tandem travel system as and when required. 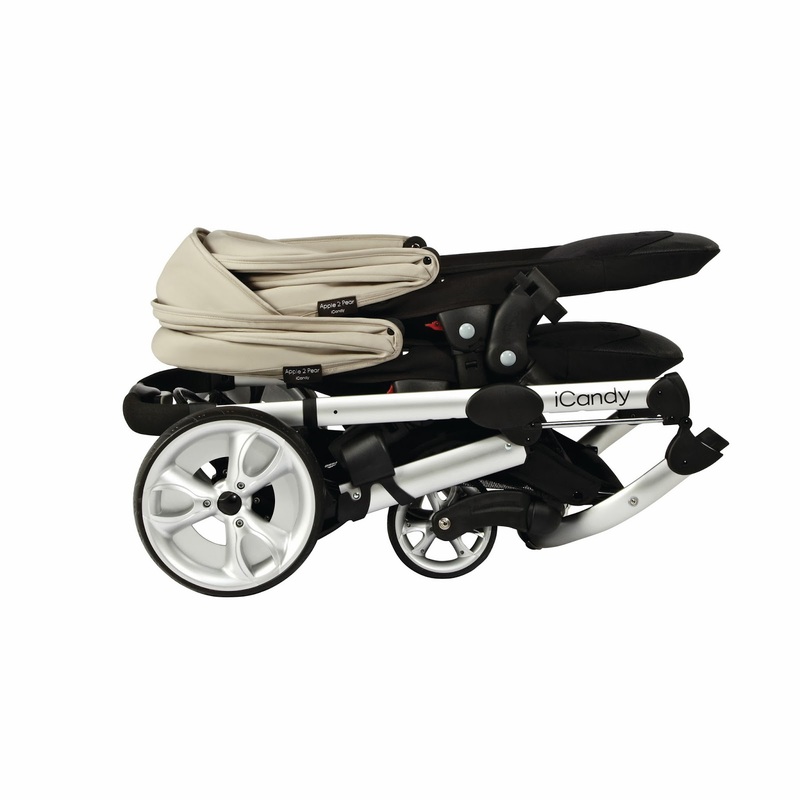 iCandy’s unique Pip Converters simply attach to the chassis of the iCandy Apple 2 allowing parents to securely add a newborn nest or a second seat in the lower position. This allows you to accommodate twins from newborn, or a newborn with an older child. Available to use from birth, the Apple 2 Pear main carrycot (sold separately) is suitable for overnight sleeping and comes with a padded mattress, raincover and washable liner.